I have been very excited about a new shop in the South Wedge featuring second hand furniture and decor along with locally crafted artisian items. I even spent some time standing outside Abode in the rain peering through the windows when it was closed. This weekend Aaron and I got a chance to stop by when it was open and I wasn't disapointed. 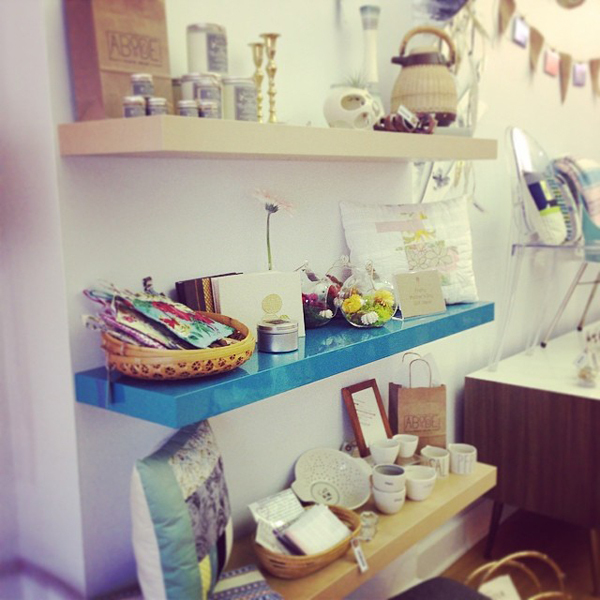 They have lots of well curated pieces artfully displayed in their shop. Turns out Aaron knew one of the owners from his classes at RIT! 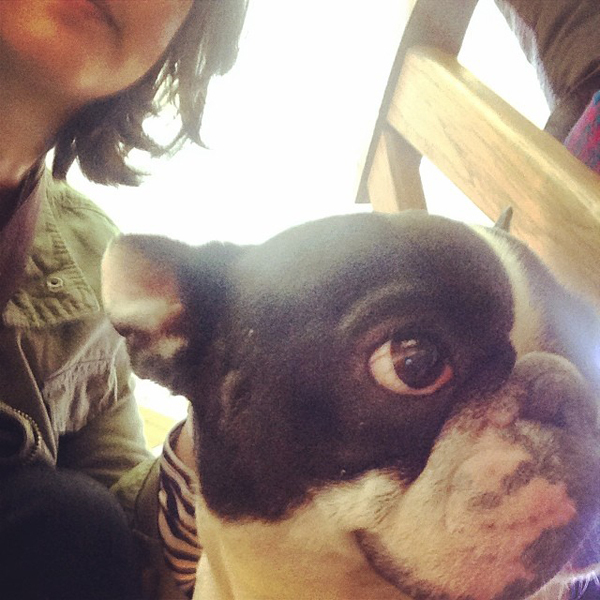 The entire shopping experience was elevated by the presence of Lucy the Shop Dog. They post pics of her occasionally on their Instagram feed. You can like their Facebook page too. 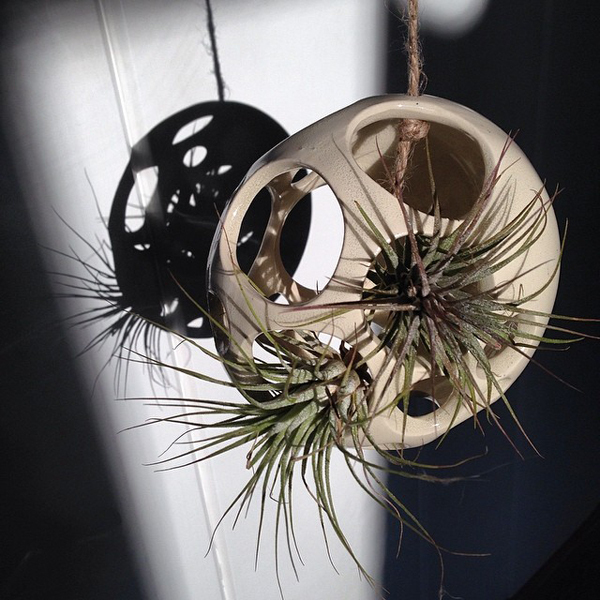 I ended up taking one one of these awesome air plant hanging ceramic pods made by a Genesee Center for the Arst and Education artist in residence, Katie Carey. It is twice the fun with the cool shadow it casts on my kitchen wall!